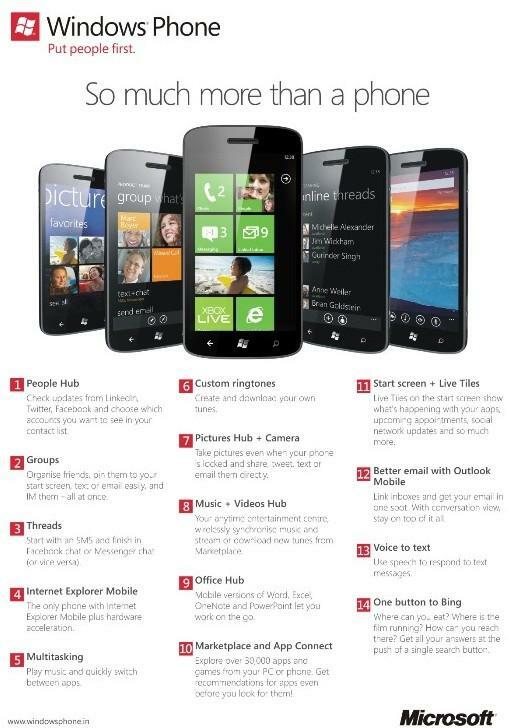 Microsoft India finally launched the Windows Phone 7.5 in India. The OS has a new rich and dynamic user interface of Live Tiles and Hubs, and enables people to quickly find, connect and consume the things that they care about the most. The new OS has a new user interface called ‘Metro’ which somehow looks and feels different from all the current mobile platforms in the market. 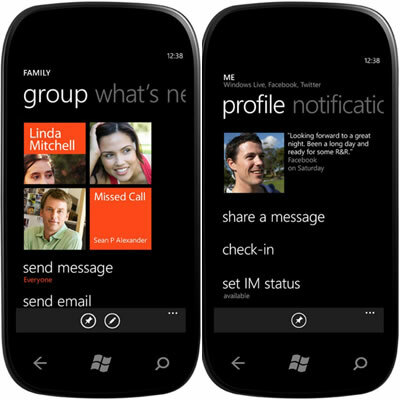 Icons have been replaced by Live Tiles on the Windows Phone start screen which come to life with real-time updates from the Web such as news, appointments or the status of friends. New Live Tiles can be easily created from whatever content a consumer wants, for applications, websites and music. People: This hub delivers an engaging social experience by bringing together relevant content based on the person. It also provides a central place from which to post updates to Facebook, LinkedIn, Twitter and Windows Live in one step. Music + Video: This hub creates an incredible media experience. The overall experience is rich and easy to navigate, and immerses the listener in the content. Marketplace: With over 30,000 apps and games, this hub allows the user to easily discover and load the phone with certified applications and games. Linked Inbox: Consumers can see multiple email accounts in one linked inbox. App Connect: By connecting apps to search results and deepening their integration with Windows Phone Hubs, apps to be surfaced when and where they make sense. Multitasking: Quickly switch between apps in use and allow apps to run in the background while helping to preserve battery life and performance. My Windows Phone: All Windows Phones come with the ability to use any web browser to log in to and locate your lost phone on a map, have it sound the ringer, lock it, or wipe it. New Windows Phone devices will be headed to India including the HTC Radar in the coming week, followed by Samsung Omnia W and Acer Allegro in November.